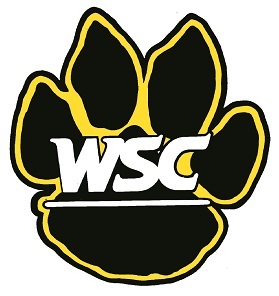 class="post-template-default single single-post postid-376207 single-format-standard custom-background group-blog header-image full-width singular wpb-js-composer js-comp-ver-5.7 vc_responsive"
Wayne State capitalized on Northern State errors to knock off the Wolves 3-2 at the Pete Chapman Baseball Complex Monday afternoon. The Wildcats grabbed their tenth straight win of the season, moving to 19-7 (10-3 NSIC). The sweep dropped the Wolves to 10-14 (5-8 NSIC). The Wildcats have swept their last four opponents in the conference after falling to an 0-3 start in the league. Northern State pitcher Cody Curfman puzzled Wayne State to start the contest. The righty dealed an impressive four innings, putting down the first 13 batters he came up against. The Wolves grabbed a solo shot in the bottom of the second, getting the better of an otherwise solid outing from Lawson Zenner. The junior pitched five innings of work, grabbing five strikeouts while only giving up two hits, one of them being the four-baser. The game remained in a standstill until the top of the sixth, when the Wildcats generated some offense. With runners on the corner, an Alex Logelin stolen base forced the Northern State catcher into a throwing error that brought the right fielder around from first as Madsen strolled home from third to give the Wildcats a 2-1 lead. Wayne State added to their lead just an inning later after Andrew Staebell replaced Zenner and shut down the side in the bottom of the sixth. A two-out single from Travis Miller brought up the second baseman Peyton Barnes. The Omaha native knocked a single to left field that wasn’t fielded cleanly, forcing a fielding error and bringing Miller all the way around to add to the lead. Northern State responded in the bottom of the inning, grabbing their second solo shot of the day. Staebell rallied by forcing a fly out before striking out the Wolves batter to end the inning with the lead still intact. Unable to add to the lead, freshman Cade Herrmann made his sixth appearance of the season. After an opening double off the arm of the rookie, Herrmann settled down and nabbed the next three batters, including a strikeout. Another blank of an inning in the top of the ninth, Charles Hasty stepped up to the mound to grab his fifth save of the season. An opening walk was followed by back-to-back strikeouts, before forcing a routine fly-out to the right fielder Logelin to end the game. Andrew Hanson led the Wildcats with two hits on the day, with all three Wildcat runs coming off Wolves’ errors. Chad Hinkle and Spencer Larson both grabbed an RBI for the Wolves on their solo shots to highlight their offense. Curfman received the loss after 7.1 innings pitched, striking out eight Wildcats and giving up four hits. Both relievers John Poldberg and Tyler Jones gave up just one hit and no runs. The Wildcats travel to St. Cloud State to take on the Huskies in midweek action, with first pitch of the doubleheader slated for 1 p.m. on Wednesday.